2 + 3. I received my Anthology Magazine #2 in the mail -- it is incredible, you should subscribe, if you don't already! 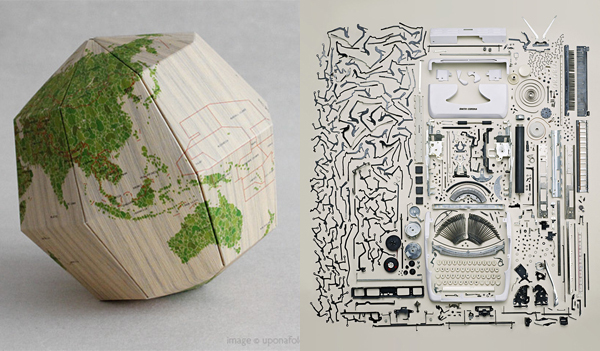 It led me to their site/blog where I fell in love with that amazing Paper Globe by Geografia and also the awe inspiring photography deconstructions by Todd Mclellan that they shared. Great inspirational weekend post, dear! I LOVE that room...the breeziness and sun shining through it is just gorgeous. I've wanted to get Anthology magazine! Perhaps I should:) It looks amazing. Ooh what a sunny and delightful room! I love the blue and the low level of everything. I totally want it ! 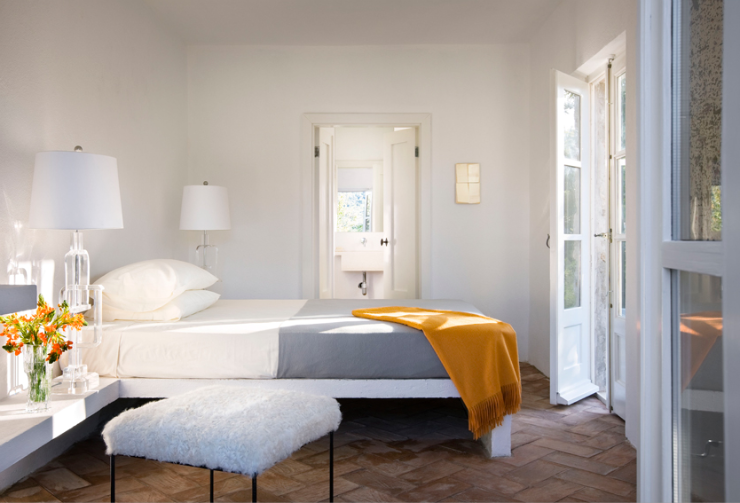 I think this would make my husband very happy too, as it's much more masculine than the bedrooms I usually love. Thank you for the inspiration! The light in that room is amazing. Rachel wonderful room, light and airy! I've been wanting to subscribe to Anthology. I better go and do it! And I just saw that your little ones have been sick. I'm so sorry. Hope you all feel better soon. The orange accents in the first picture make all the difference! I'll take a paper globe please. Maybe even two. Love them.